Hello, lovely variety of sky images. The first two are my favorites. The colors in the second photo are beautiful. Happy Thursday, enjoy your day and the weekend ahead. I like the old photo of the festival very much. 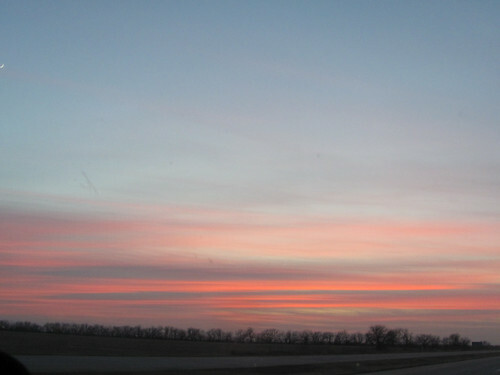 I was in Kansas once and the sky was truly beautiful! Great shots! I like all the photos and am very fond of carnival photos – something about a ferris wheel gets to me. 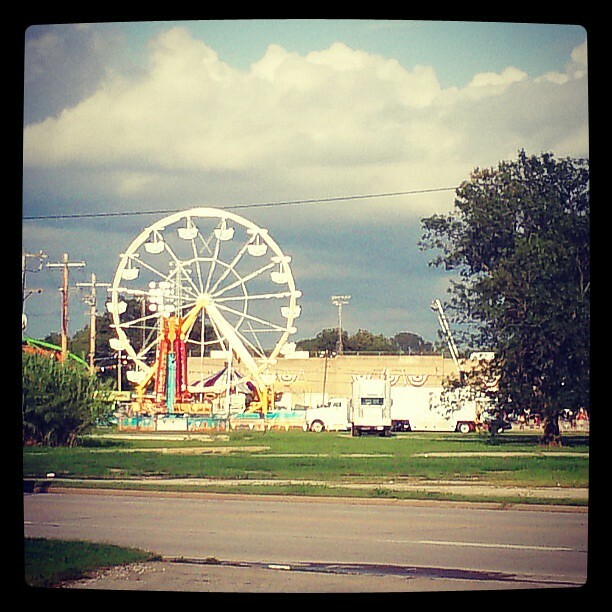 I guess it reminds me of childhood and the ferris wheel was my delight. Beautiful skies, Alan. It’s nice to reach back into the archives from time to time! That’s pretty quirky to take us to Kansas, Yogi! I like the pink one with the stand of trees in the distance. 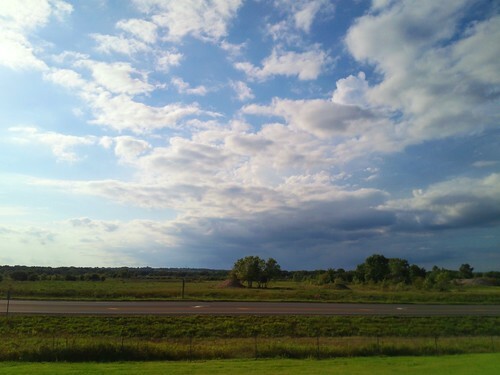 Lovely sky photos. My favourite is the 2nd sky. Happy weekend! So did you have a ride on the ferris wheel? I never liked heights and so was never on a ferris wheel….but it is nice that others can enjoy the ride. Toto, we’re not in Oklahoma anymore? The last time we spent a winter in Oregon I threatened to take and post a picture of the back of a writing tablet — that uniform blah gray was all I was seeing of the sky. Winter SWF is definitely easier here in Florida.